If you need help with deciding on the right course for you, completing your application or preparing to come to Australia, you can contact an agent in your country for assistance. Choose your region and country from the list below to find out contact details. All TAFE SA applications must be submitted by agents via Studylink Connect. Paper based applications are no longer accepted. If you already have access, use your existing login details to access your TAFE SA applications. If you are a first time user of StudyLink or have forgotten your login details, please contact support@studylink.com. Packaged University Offers allows students to accept a joint packaged offer with a local South Australian University, and upon successful completion of TAFE SA qualification, the student is eligible for a guaranteed entry into a nominated University Degree Program. 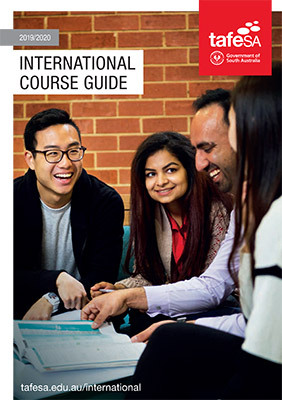 TAFE SA offers ELICOS, VET and higher education courses to overseas students. To provide education and training services to international students TAFE SA must comply with rules and regulations required by the Federal Government and the National Regulators ASQA (Australian Skills Quality Authority) and TEQSA (Tertiary Education Quality and Standards Agency). Not engaging in any dishonest practices and not providing immigration advice where not legally authorised to do so. The ESOS Act requires us to maintain a list of our education agents on our website. To ensure your details are accurate please email TAFE SA International.